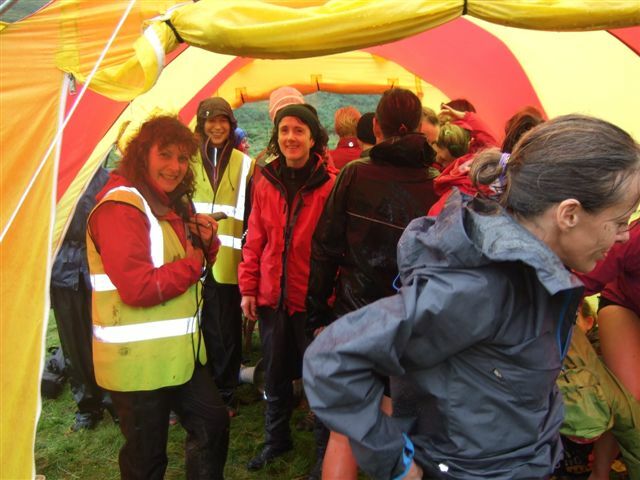 Fell Running's Tour of Britain started in the Mountains of Mourne back in April. Spring was in the air which is just as well, as a 'Mourne Category Long' race, can be very tough if Winter drags its feet in Northern Ireland. 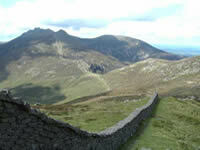 Boffins have proved that Mourne miles are actually longer than 'normal' miles. This race is just 12.5 miles (6300ft) but it would take more then two hours because of the steep ascents and rough terrain that weaves its way inside and outside the Mourne Wall. 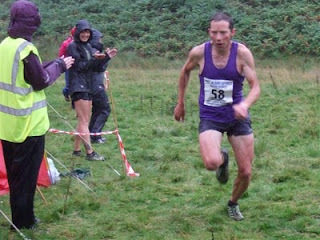 It was Scottish club Shettleston that did best on the day with Tom Owens and Jethro Lennox both running under 2:10. Bingley's Rob Jebb, Pudsey and Bramley's Graham Pearce and Borrowdale's Ben Bardsley (V40) made up the top five. 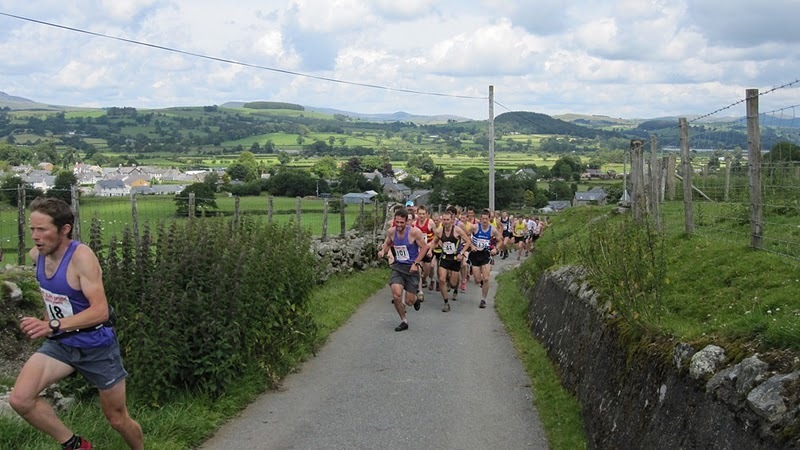 Pippa Maddams (Keswick) won the ladies race in 2:31, just four minutes outside Angela Mudge's 2008 record, Helen Fines (Calder Valley) was 2nd. A lovely summer's day gave runners a chance to top up their vest and shorts tan lines at the Welsh Medium race at Yr Aran 10miles(3100ft). Almost the opposite of the Mourne race, not steep, not rough, gently and grassy lovely fast running, not what all fell runners like though (Although @Daleside_ has just been kindly reminded now of the really rough rocky bit at the top - funny what your mind blanks out for you). With 'No-Shows' from Tom and Jethro and a 'Show' from Northern Ireland 'No Show' Morgan Donnelly, the British Championships got itself ready for quite a shake up. And as all the boys came running down the mountain, Morgan Donnelly proved better than the rest in 1:22:55. Morgan took 30 seconds off the record - a record that 2nd on the day's Tim Davies had held for a couple of years. 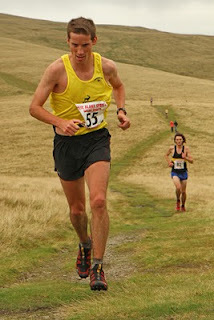 3rd was Bingley's Rob Jebb, Tim's brother from Mercia Andrew Davies in 4th (actually does anyone know if they really are brothers!?) and another famous running brother Pudsey and Bramley's Danny Hope in 5th. 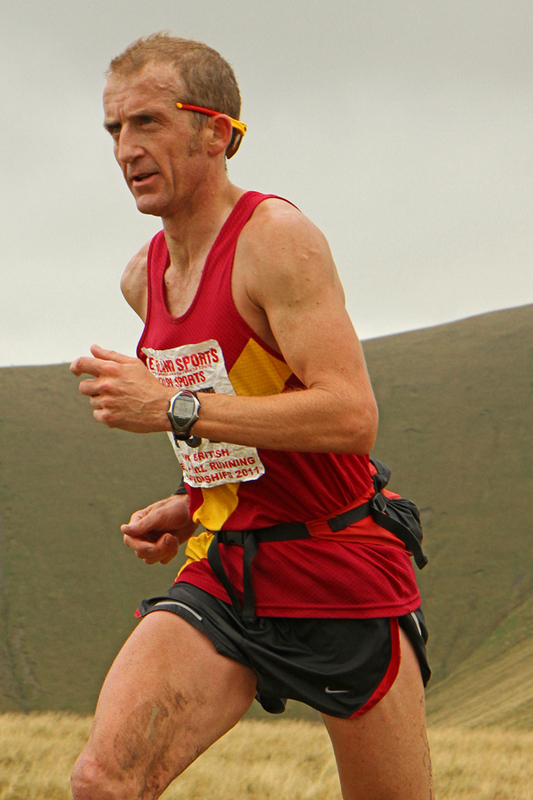 Pearce was 6th, Taggart who did not run in Northern Ireland was 7th, Steve (Stealth Bomber) Hebblethwaite 8th and o-oh - look who it is in 9th, Darren Kay (voted fell running's best dressed man's - FRA Magazine 2010). Pippa again won the ladies race from Jo Buckley from Calder Valley. This time a larger field met as it was also a counter in the English Championships. The organisers of the British Championships like to give runners that couldn't make it 'overseas' to Northern Ireland, the opportunity to still take part. 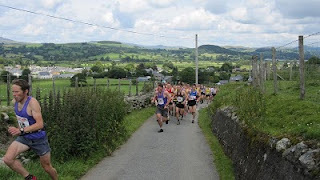 As this year's Northern Ireland race was a 'Long', the English Championship Long Sedbergh Hills was the alternative counter. (Does that mean if Northern Ireland wasn't the other side of a sea, there would only be three races in the championship!?) At 14 miles and 6000ft and Keith Anderson's amazing record of 1:57 to aim for, was localish man Morgan Donnelly ready to break another record? 'No chance' said Keith Anderson when Fell Running Briefs met him a couple of weeks before - oh actually @Daleside_ made that up, the opportunity to ask him didn't come up - Keith was too engrossed in monitoring @Daleside_'s twitter feed to find out what was going on in the Tour de France. Runners hey! But anyway as it was, Morgz ran a cautious race coming in over 5 mins down on the record (2:02:44) kicking from the chasing Taggart with about 7 miles to go. Lloyd finished nearly two minutes down in 2:04:29. We told you to keep watching for this one as Darren Kay came 3rd, Ben Abdelnoor 4th, Andrew Davies 5th, Tim Davies 8th and Graham Pearce 9th. Jackie Lee won the ladies race in 2:32. And so the end is near, we have reached the final curtain.......The decider at the Devil's Beef Tub in Scotland was just 2miles and 750ft. Most of the runners didn't think about the risks associated with shorter races as they darted off in four different directions into head high bracken, or as some of them ran down to the finish before visiting the last summit. As a result some got dismayed, some got angry and some got even. But Morgz made no mistakes and won the race, breaking the record on a foul day by a handful of seconds (five in fact - one for each finger). Lloyd followed him down 12 seconds behind and broke the V40s record. Of those that stood to benefit from a good result for the championships - the one we told you to watch came off best in 7th (Darren Kay who said "I nearly broke my legs trying to chase back down that descent") Tim Davies was 9th with brother Andy in 10th. Graham Pearce who'd been having such a good championship, was one of the lost boys who didn't get angry, or get even, but got marooned into 19th place. 2006 British Champion Natalie White was spectating and said - "There were 25 ladies stood by a fence in a field of bracken, the hooter went off and no-one moved, no-one apart from Wendy that is, who led the way through the bracken." The organiser had set the ladies off before the men, hoping they would carve a way through the bracken and sedge, however I think the men agreed that 25 sets of size 4s didnt really have much effect. Pippa won the ladies race from Mercian Mel Price by a couple of minutes as unfortunately Mel fell and had to take advantage of the local Accident and Emergency facilities for stitches. Results to be confirmed by FRA Statistician - FRA British Championships results page. Funny how at the beginning of the year Darren Kay questioned why he should be valued at 9 pints in the world of fell running's greatest competition -The Fantasy Fell Running League - he knows better now than to question Bill J's calculations. Morgan Donnelly -" I wouldn't have broken the record if all the ladies hadn't been shouting at me from inside the organiser's tent." British Championship races for 2012 will be announced shortly......make sure you enter!